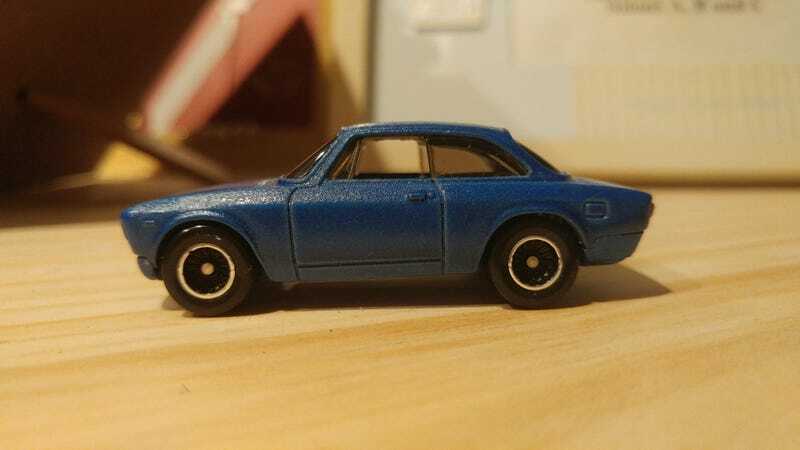 Before I knew Hot Wheels was releasing a bumperless Giulia I had already started one as well, based on the incredible Matchbox casting of the Giulia Sprint GTA. Obviously the Hot Wheels one looks better because the lower part of the chin is integrated in the body, but I don’t think mine looks that bad! I also think it might be the cleanest detailing job I’ve ever done so I’m pretty happy with the end result. I still have to add window brightwork and clearcoat the whole thing, but wanted to show it to you guys first.